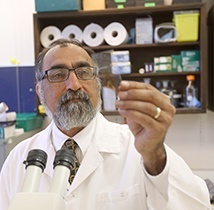 Congratulations to Dr. Sultan Darvesh, principal investigator, who was awarded a Canadian Institutes of Health Research (CIHR) Project Grant from the fall 2016 competition as published by CIHR on May 24, 2017. In terms of a dollar amount, this grant is in the top 12. There were nine research grants awarded in Nova Scotia, all at Dalhousie, for a total of 475 research grants awarded in Canada. 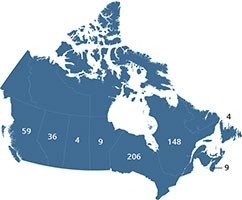 There were 2,884 applications submitted across Canada. Dr. Darvesh is a behavioural neurologist and trained organic chemist with interest in medicinal chemistry. His research has been instrumental in determining the importance and expression of butyrylcholinesterase in the human brain. His research focus is the development of therapeutic and diagnostic agents for Alzheimer’s disease, with butyrylcholinesterase as the target.